Dr. Kinney is a medicinal chemist and entrepreneur with greater than 25 years of experience in large pharmaceutical (Wyeth, Johnson & Johnson), biotechnology (Magainin), and non-profit (Blumberg Institute) research and development. 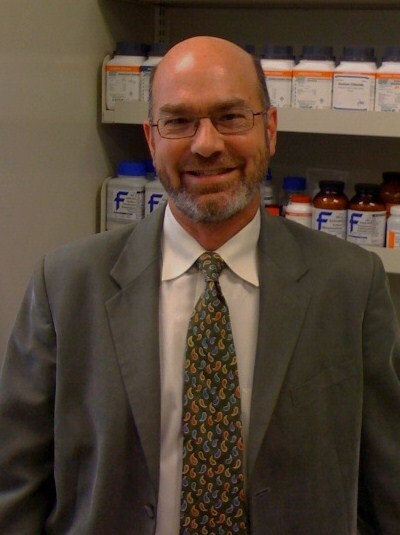 He has demonstrated expertise in drug design; synthesis; lead optimization of peptides, small molecules, and natural products; and has been an inventor of three molecules that entered into human clinical trials – Perzinfotel (CNS disorders and pain), Squalamine (oncology and AMD), and Trodusquemine (obesity). Dr. Kinney is a faculty member at the Blumberg Institute and an adjunct faculty member at Drexel University. He is the Founder of IteraMed, a company focused on custom organic synthesis, consulting, and drug discovery. His scientific contributions include 70 publications, invited lectures, and oral presentations and inventorship on 42 issued U.S. patents. IteraMed partners with a number of scientists at the Pennsylvania Biotechnology Center depending on Client needs. Novel functionalized 1,​3-​benzene diols and their method of use for the treatment of hepatic encephalopathy; Brenneman, Douglas E.; Kinney, William Alvin; McDonnell, Mark; Petkanas, Dean; PCT Int. Appl. (2015), WO 2015106108 A2 20150716. Toxic aldehyde related diseases and treatment; Brady, Todd; Young, Scott; Kinney, William A.; PCT Int. Appl. (2014), WO 2014116836 A2 20140731. Preparation of benzoxazole derivatives as novel traps in the treatment of macular degeneration; Chabala, John Clifford; Jordan, Thomas A.; Ling, Ke-Qing; Gleason, John G.; Kinney, William A.; PCT Int. Appl. (2014), WO 2014116593 A1 20140731. Quinoline- ​derived peri-​carbinols useful for treating, reducing a symptom of or reducing the risk of macular degeneration, and preparation thereof; Jordan, Thomas A.; Chabala, John Clifford; Ling, Ke-Qing; Kinney, William A.; From PCT Int. Appl. (2014), WO 2014100425 A1 20140626. Novel PI3K p110 inhibitors and methods of use thereof; Katsikis, Peter D.; Kinney, William A.; Almond, Harold R.; Khan, Noshena; PCT Int. Appl. (2013), WO 2013090725 A1 20130620. “Design and Synthesis of [2-(8,9-Dioxo-2,6-diazabicyclo[5.2.0]non-1(7)-en-2-yl)ethyl]-phosphonic Acid (EAA-090), a Potent N-Methyl-D-aspartate Antagonist, via the Use of 3-Cyclobutene-1,2-dione as an Achiral Alpha-Amino Acid Bioisostere” W. A. Kinney, M. Abou-Gharbia, D. T. Garrison, J. Schmid, D. M. Kowal, D. R. Bramlett, T. L. Miller, R. P. Tasse, M. M. Zaleska, J. A. Moyer, J. Med. Chem. 1998, 41, 236-246. “Squalamine Inhibits Angiogenesis and Solid Tumor Growth in Vivo and Perturbs Embryonic Vasculature” A. K. Sills, Jr., J. I. Williams, B. M. Tyler, D. S. Epstein, E. P. Sipos, M. P. McLane, S. Pitchford, K. Cheshire, F. H. Gannon, W. A. Kinney, T. L. Chao, J. D. Davis, M. Donowitz, J. Laterra, M. Zasloff, H. Brem, Cancer Research 1998, 58, 2784-2792. “Aminosterols from the Dogfish Shark Squalus acanthias” M. R. Rao, A. E. Shinnar, L. A. Noecker, T. L. Chao, B. Feibush, B. Snyder, I. Sharkansky, A. Sarkahian, X. Zhang, S. R. Jones, W. A. Kinney, M. Zasloff, J. Nat. Products 2000, 63 (5), 631-635. “Thrombogenic Collagen-Mimetic Peptides: Self-Assembly of Triple Helix-Based Fibrils Driven by Hydrophobic Interactions” M. A. Cejas, W. A. Kinney, C. Chen, J. G. Vinter, H. R. Almond, Jr., K. M. Balss, C. A. Maryanoff, U. Schmidt, M. Breslav, A.Mahan, E. Lacy, C. Yang, B. E. Maryanoff, Proc. Natl. Acad. Sci. USA 2008, 105, 8525-8530. “Collagen-Related Peptides: Self-Assembly of Short, Single Strands into a Functional Biomaterial of Micrometer Scale” M. A. Cejas, W. A. Kinney, C. Chen, G. C. Leo, B. A. Tounge, J. G. Vinter, P. P. Joshi, and B. E. Maryanoff, J. Am. Chem. Soc. 2007, 129, 2202-2203. “Suzuki–Miyaura Approach to JNJ-26076713, an Orally Active Tetrahydroquinoline-Containing Integrin Antagonist. Enantioselective Synthesis and Stereochemical Studies” W. A. Kinney, C. A. Teleha, A. S. Thompson, M. Newport, R. Hansen, S. Ballentine, S. Ghosh, A. Mahan, G. Grasa, A. Zanotti-Gerosa, J. Dingenen, C. Schubert, Y. Zhou, G. C. Leo, D. F. McComsey, R. J. Santulli, B. E. Maryanoff , J. Org. Chem. 2008, 73, 2302-2310. “Studies with an Orally Bioavailable Integrin Antagonist in Animal Models of Ocular Vasculopathy: Retinal Neovascularization in Mice and Retinal Vascular Permeability in Diabetic Rats” R. J. Santulli, W. A. Kinney, S. Ghosh, B. L. DeCorte, L. Liu, R. W. A. Tuman, Z. Zhou, N. Huebert, S. E. Bursell, A. C. Clermont, M. B. Grant, L. C. Shaw, S. A. Mousa, R. A. Galemmo, Jr., D. L. Johnson, B. E. Maryanoff, B. P. Damiano, J. Pharmacol. Exp. Ther. 2008, 324, 894-901. View all references.